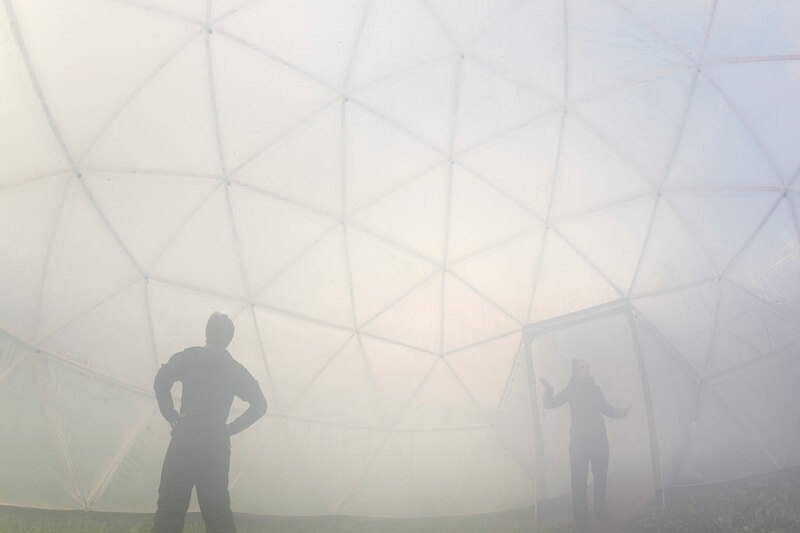 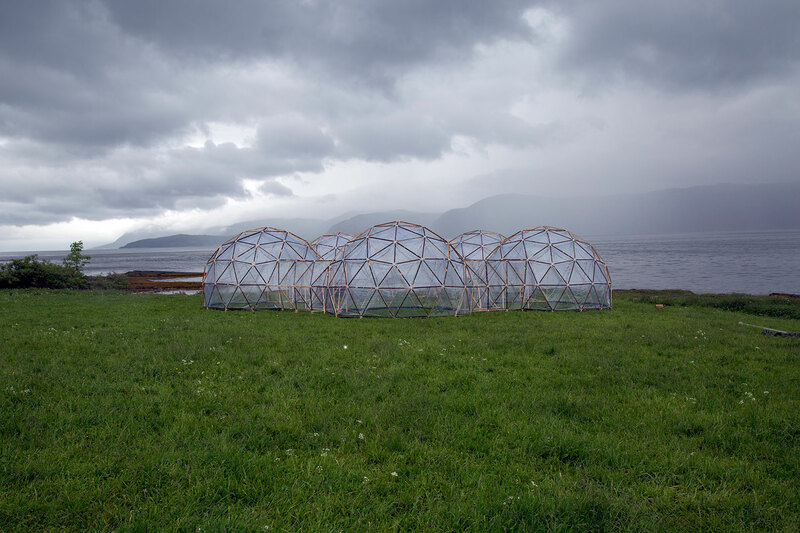 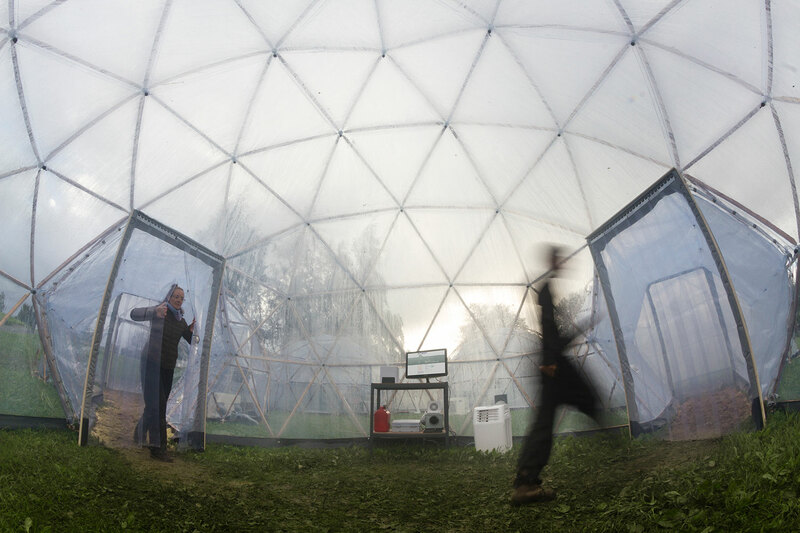 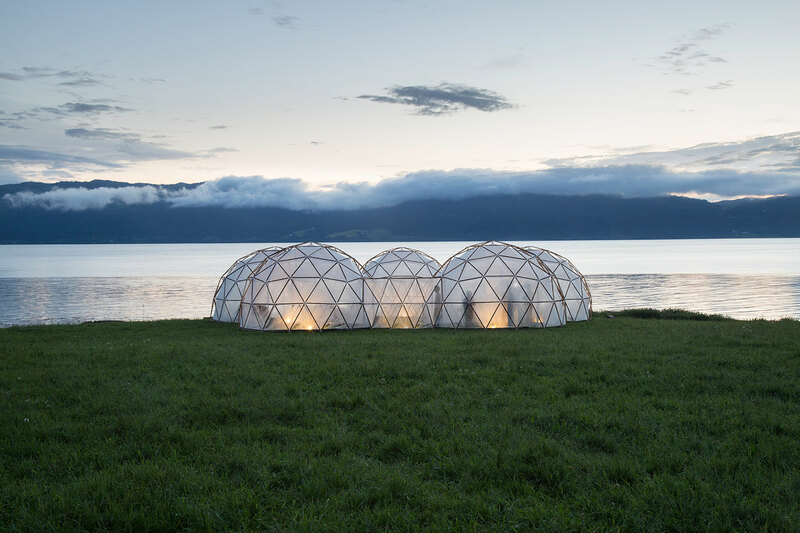 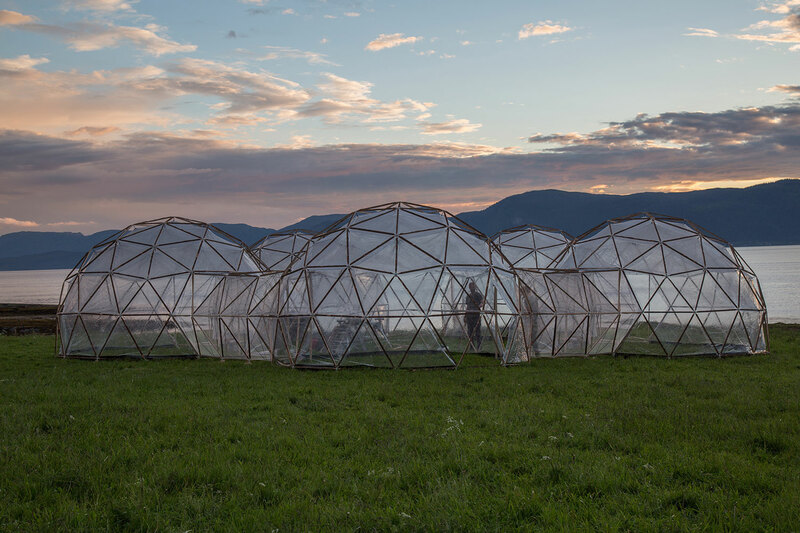 Five interconnected geodesic domes contain carefully mixed recipes emulating the relative presence of ozone, particulate matter, nitrogen dioxide, sulphur dioxide and carbon monoxide which pollute London, New Delhi, San Paolo and Beijing. 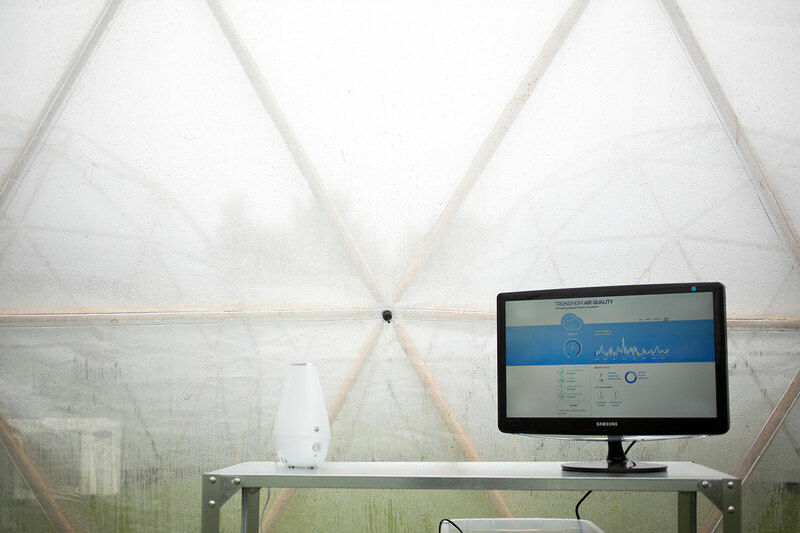 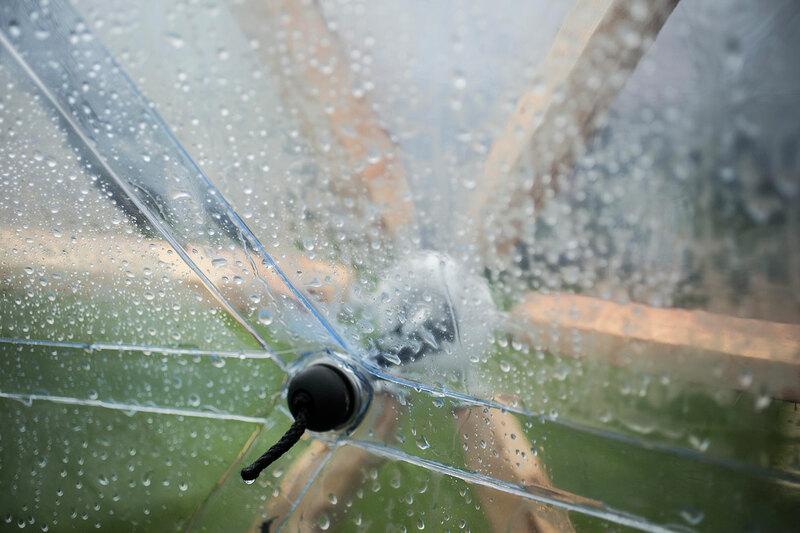 Starting from a coastal location in Norway, the visitor passes through increasingly polluted cells, from dry and cold locations to hot and humid. 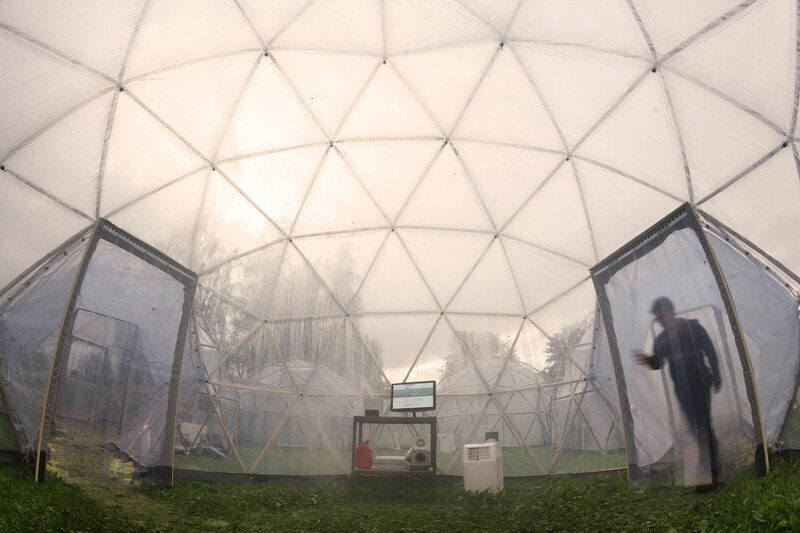 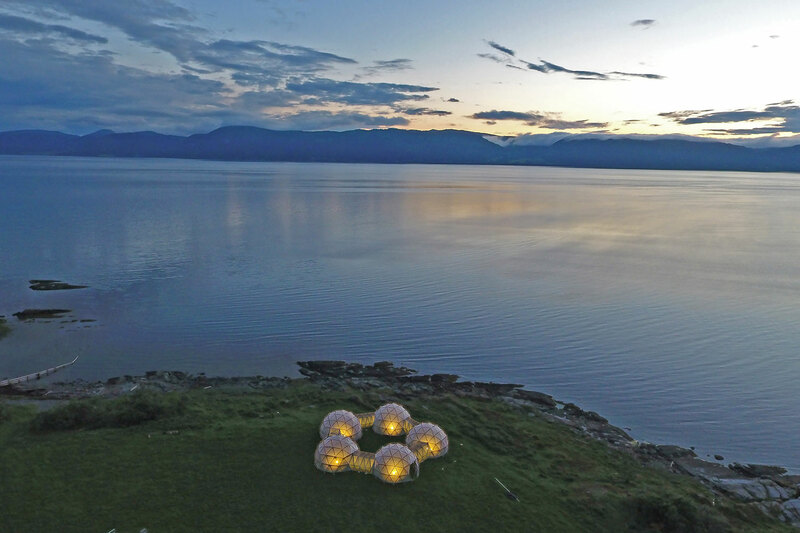 Pollution Pods has been commissioned by NTNU as part of Climart a four-year research project that examines the underlying psychological mechanisms involved in both the production and reception of visual art using these findings in an attempt to unite the natural sciences to the visual arts.